The crime-drama genre of film brings to mind some generally disturbing feelings and/or graphically violent images. Those kinds of movies are usually designed to give viewers an inside look at the gritty inner workings of crime in a given city. You are taken to the very heart of darkness as it were, and by the end of it all, you are left with some unpleasant thoughts because in some Shakespearian way everyone dies. Or maybe you feel some satisfaction because that character you hated got his or her comeuppance. You may even feel sorry for those caught in the crosshairs of the action. Either way, in a crime-drama you come away knowing a bit more about what makes the characters tick and you might learn a bit about why they may or may not speak to you. The Drop offers some semblance of the aforementioned threads of the crime-drama, repackaged in a fresh way that makes this one standout in a manner that you might not expect. We are taken inside the system of "drop" bars in the borough of Brooklyn as they are used by the local gangsters to funnel funds. One of these bars is where we find and follow Bob Saginowski (Tom Hardy), a mild-mannered, soft-spoken bartender. On the surface, there is not much to note about Bob as he seems to be just another Brooklynite (which Hardy pulls off beyond convincingly), who prefers to just do his job and keep quiet. This works for him. He just tends the bar. This is all fair enough. However, as with most characters not given to extremes of emotion, there is almost always something about them that we do not yet know. There is something about them that we want to know, which is why we continue to follow the character. We may or may not like what we find, but we should be provided answers to the questions we have and if done right, we should be left with some pieces to figure out on our own. The Drop manages to give us this. You might be asking, "is there a leading lady in this movie"? Of course, there is! Bob meets a woman named Nadia (Noomi Repace), but their relationship is not the sole focus as is generally the case with similarly themed films, thankfully. Nor is it the relationship between Bob and Cousin Marv (the great James Gandolfini). While both are important people to Bob's development as a character, there is no more integral a relationship in this film than that of the one between Bob and the abused pit-bull terrier he finds in a trash can named Rocco. That is the real love story of this film. It is through Rocco that Bob becomes more defined as a character. Looking at Bob, we understand that there is some deep rooted weight he's carrying, and the way Tom Hardy understates that, and everything in his performance, is magnificent. Hardy is proving that he is quite the versatile actor indeed. He reveals who Bob is bit by bit with the skill of a steady-handed painter. He wears the weight of his past like a jacket and Hardy allows us to see that weight in a physical sense as it permeates his every move, from his almost timid manner of speaking, to the way he walks, to the ways in which he does or does not make eye contact. This is yet another example of the skill and talent, which Hardy possesses. Skill and talent is also something, which James Gandolfini possessed in spades. He is so good here that it is not really surprising. We expect an award-winning actor to deliver a solid performance and Gandolfini does that in such a way that makes you feel as if he could hop out of bed and turn on the juice. A role like Marv, he could play in his sleep. He makes every moment count, really sinking his teeth into every piece of the character. He presents us with qualities that are rather dark and unforgivable, but he also manages to present us with small traces of a heart, particularly in a moment when speaking to his older sister Dottie (Ann Dowd) about their ailing father, or in a conversation with Bob about a time when he was once feared and respected. 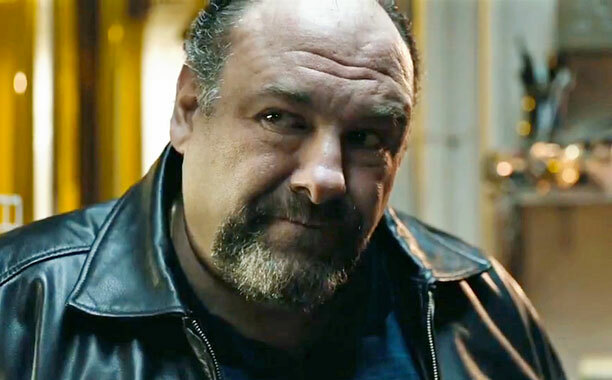 Gandolfini gives us a complex, proud man who masks his wounds of the past with a tough exterior. He does all of this while still allowing you to care about him. Even if it's for a moment. In that moment, Gandolfini has won you over. It would be criminal not to mention Noomi Rapace, as she does great work here as the damaged Nadia who befriends Bob. There is an honesty in her performance and the vulnerability she brings to a scene is palpable. She is lonely, like Bob and she is searching for something. Rapace shows us this in a way that does not seem conscious to Nadia and that is the real trick of the character. She moves in a way that what she wants is not really clear to us because it is not clear to her. Everyone else, it's pretty clear what they are after. Bob is looking for a kind of redemption. Cousin Marv is looking for ways to get money, presumably to save his father, but because what Nadia is after seems opaque, she ends up realizing her needs in a more roundabout way. The skill is to make that look and feel as real as possible and Rapace succeeds. For a flick that clocks in at a brisk 106 minutes, it felt like there was an immense amount of space to fill with the richness of the characters and to give the appropriate relationships the weight necessary for those dynamics to have the effect they needed to have. I have to say something was done right. The acting was solid, the pacing steady, and the writing is very tight. Handled by Dennis Lehane, who many know as the man behind the source material of such adaptations as Mystic River and Shutter Island, this is yet another successful translation of his literary work. 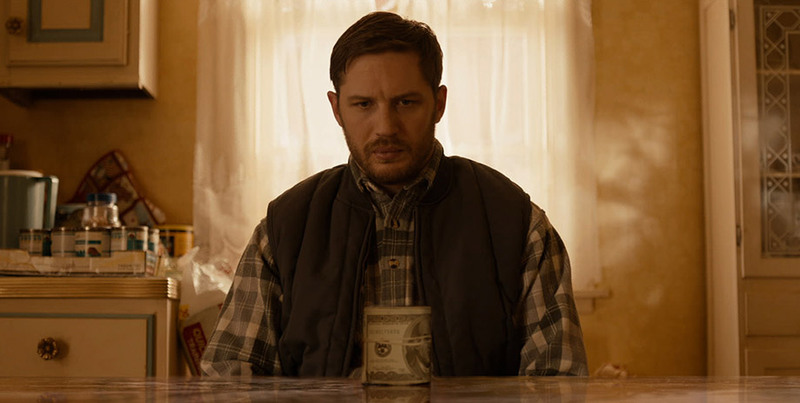 The Drop is a nice and meaty character driven gem to get into as we move deeper into the fall season. If you happen to be looking for a crime-drama that exercises a bit of restraint, while providing healthy doses of low key, honest-to-goodness acting, you might be pleasantly surprised by what you get.